There are a lot of factors that can influence spending and if you want to get a good hold of your finances, you need to be on guard against them. It is not an easy task but it is important if you really want to improve your financial standing. There are a lot of areas you need to control and this is just one of them. Once you try to sit down and track where these spending influencers come from, you could end up with a pretty long list and not know where to get started. Here are a few of them worth looking into. 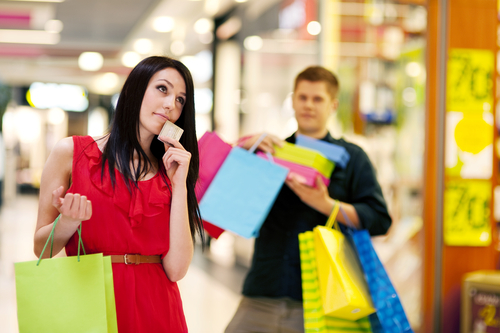 Spending is deeply ingrained in society and even the economy is based on the purchasing activity of consumers. This makes it all the more important to be on the lookout when it comes to your spending activity. You can easily get lost in the spending frenzy where an innocent stroll in the mall end up with a new wardrobe or even gadgets you don’t really need at the moment. There are a lot of factors which can influence spending on your part. What you need to remember though is that there are also ways to help you mitigate that problem and one is relying on family to make you stick to your budget. It there are people who would not have any other agenda other than your own safety and financial stability, they would be your family. They can call you out for impulsive purchases whenever you come home with more clothes than you can carry. A family member usually gives out reliable pieces of financial advice especially your parents. They have been through a lot and they can easily dispense advice based on actual experience. This can be a big help as you manage your spending. Friends can influence spending in a lot of ways especially if you are a social creature. Once you start spending a lot of time with your friends, you get to be influenced by the way they spend their money. You may not know it but sooner or later, you start wanting the same things and even aiming for the same vacation spots over the summer break. With this type of mentality in mind, it is a good idea to keep your inner circle tight and have a habit of being in control of your finances. You should not be easily swayed by the latest gadgets and even shoes. Stick to what you need and save up for what you want. If you are surrounded by friends who throw caution to the wind when it comes to their money, you need to influence them for the better. Your officemates can influence spending as well because much like your friends, you will also spend a great deal of time with them on a daily basis. The way they manage their finances can also rub off on you and depending on whether they handle it or not, you might pick up all the wrong ones and be in debt. This is the last thing you need especially if you are still trying to pay down a lot of debt obligations. The challenging part in this situation is that you may not have a say with who your colleagues are. Unless you head a unit or even a whole department, you will have to make it work with the people in your office. Technology is very much prevalent in the life of people nowadays that you will be hard-pressed not to have any social media influences in your life. It can be as innocent as what to watch on Netflix or gift ideas for family and friends. Entrepreneur reiterates that social media can influence the amount of money people spend. This might be hard to stay away from especially as the Christmas holiday is just a few months away. It simply goes to show that social media can influence buying behavior because companies are using it as a platform to put out their ads to their target consumers. Once you get to identify areas in your life that influence spending pattern on your end, here are a few ideas on how to manage your expenses better. Creating a budget is a challenging task for a lot of people. It involves sitting down and looking at their most recent expenses and making a list. The same goes for their income where they need to identify all the sources every month. When you accomplish this, you get to see the big picture and identify what needs more work. If your expenses are more than your income, you need to find a way to either lower it down or increase your income. If it is the other way around, you need to make sure that you are using that extra money to plan for the future. Once you have a budget, the next thing you need is to make sure that you follow the list. It seems obvious enough but there are a lot of people who have a hard time sticking to an existing budget. There are a lot of factors that influence spending and sticking to your budget helps you stay away from impulsive and damaging purchases. There is a growing number of people who are starting to use cash again despite the convenience of a cashless society. Credit cards have drastically changed the way people pay for their expenses especially in this day and age of online shopping. Physical cash has slowly lost its appeal, especially with the younger generation. However, it still has its appeal especially when you are trying to manage your spending. For one, carrying and paying with cash can help you prevent going over budget. When you have used up all the cash you have then that is it. Counting and handing over cash for payment also make you more aware of how you spend money compared to simply swiping and signing away for your purchases. Advancements in technology is a two-way street and if it makes you spend more, there are also instances where it helps you save more. One of which is enrolling in an automatic bank transfer. As the name suggests, it helps you transfer specific amounts to one or several accounts automatically in a given period of time. This means that even before you get any crazy and impulsive ideas with your pay, automatically transferring a certain amount to accounts tied to financial objectives can help you keep that amount safe. You can put away a certain amount every month towards your retirement account or even for your emergency fund. There are a lot of types of people who can influence spending on your part and you just have to be proactive in identifying them. Once you know who these people are, you can then proceed with a goal in mind that you will focus on your finances rather than being swayed to buy unnecessary items. Identify those that can help you and keep your distance from those types who will only bring you to debt.